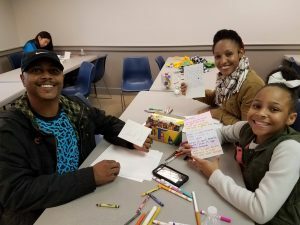 Activate Good hosts a variety of annual Community-Wide Days of Service for the Triangle area, bringing together local volunteers, groups, and causes to make a big impact and recognize the power of people! Generally, our Days of Service can accommodate volunteer groups of all types and sizes. For volunteer groups interested in adopting a service project during one of these special days, please review Activate Good’s Volunteer Group Responsibilities before moving forward with group volunteer planning. All Projects Associated with Activate Good’s Days of Service Can Be Found here. Continue Below for Descriptions of Each Event. Our local call to action for Youth Service America’s larger Global Youth Service Day. Global Youth Service Day is an annual campaign celebrating and mobilizing millions of youth improving their communities through service and service-learning. 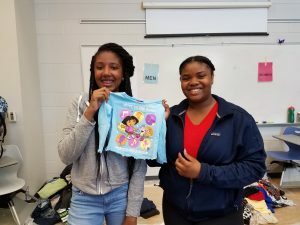 Here in the Triangle, we aim to activate teens to realize their potential to do good for the Triangle by engaging them in volunteer work to benefit some of our more than 400 local nonprofit partners! Activate Good begins matching committed volunteer groups to appropriate service projects each February, and offers opportunities for individual volunteers on our website by the end of each March. Watch for Teen Days of Service opportunities here! Our local call to action for Points of Light’s larger National Volunteer Week campaign. Since 1974, National Volunteer Week has been an annual campaign celebrating the power of volunteers through service, events, and recognition. Here in the Triangle, we engage individuals and groups of all ages and sizes, including companies, to impact our community in positive ways through projects with our more than 400 local nonprofit partners! Watch for National Volunteer Week opportunities here! Our local call to action for the September 11th National Day of Service and Remembrance. 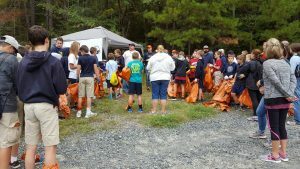 Each year, with the support of local businesses, Activate Good coordinates its Triangle-wide 9/11 Day of Service to mark the anniversary of September 11 and honor those lost with volunteer service. We engage thousands of volunteers to serve the Triangle community through a menu of service projects – as well as our signature Commemoration Event, complete with guest speakers, music, and additional family-friendly service projects. Service projects benefit a variety of Activate Good’s nonprofit partners and other local causes; tasks range from clearing new hiking trails to crafting helpful items for sheltered pets to packaging food for those in need – and much, much more. Each summer, Activate Good begins matching volunteer groups to appropriate projects in July, and posts public opportunities online as they become available in August. 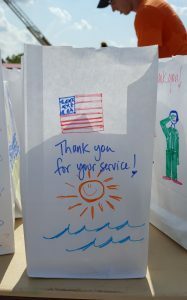 Watch for 9/11 Day of Service projects here! Our local call to action for Points of Light’s day of service to celebrate the power of families. Established more than two decades ago by Points of Light, Family Volunteer Day was founded to demonstrate the benefits of family volunteering and provide opportunities for families to help their local communities. Presented by generationOn and sponsored by Disney, Family Volunteer Day is strategically held each year on the Saturday before Thanksgiving as a way to ‘kick-off’ the holiday season with giving and service, and signal the start of National Family Week. Activate Good offers its signature, family-friendly volunteer event – Craft for a Cause – to make volunteering accessible to families with children of all ages and demonstrate how you can make a difference for a cause no matter where you are. Other family-friendly opportunities may also become available based on the availability of our nonprofit partners. Ready to volunteer on Family Volunteer Day? Watch for Family Volunteer Day opportunities here! Want to get the whole crew together? Are you a nonprofit and interested in submitting a project to be considered for part of a Day of Service? Let us know! Please contact volunteer@activategood.org for general and adult inquiries, and schools@activategood.org for inquiries involving youth and youth or family based groups. Have a budget and want something special for your group? Please complete this form and we’ll be in touch!